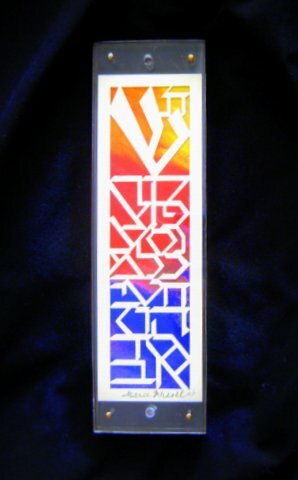 Categories: Jewish Children's Gifts, Jewish Wedding Gifts, Judaica, Mezuzahs. 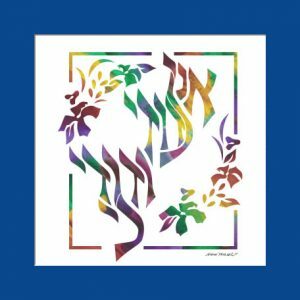 G-d with each and every letter, one by one. 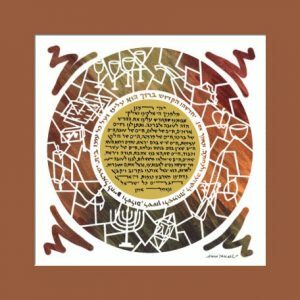 Alef, Bet, Gimel, Daled, Heh… It is said that his unique prayer had such great devotion that it went directly up to the Heavens, reaching the highest heights. 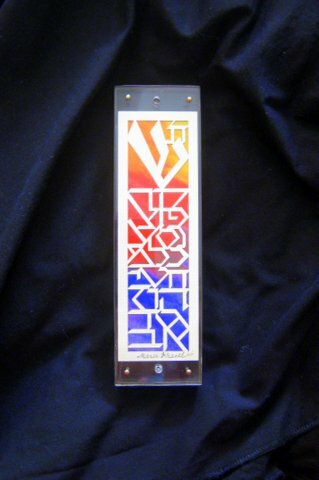 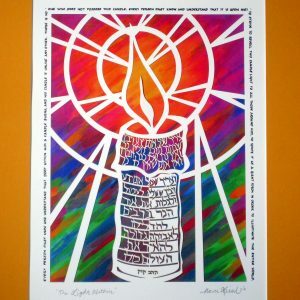 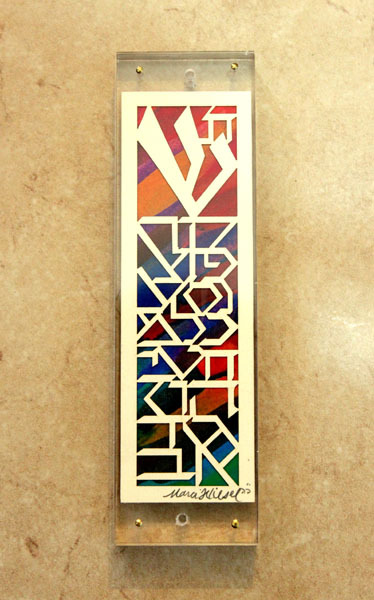 This is the story I was thinking about when I designed this mezuzah. 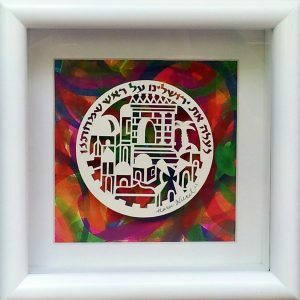 It is the Alef Bet starting at the bottom and climbing all the way to the top, with the traditionally enlarged letter shin, the first letter in one of G-d’s names as well as the letter that begins the word shamayim (heavens).